For many years, the Teddy Bear Caper has provided hundreds of cuddly teddy bears to any children that were unfortunate enough to spend time during the Holidays at the Hospital. You’re invited to help carry on this wonderful tradition and make a meaningful impact on the community during the holidays and beyond! 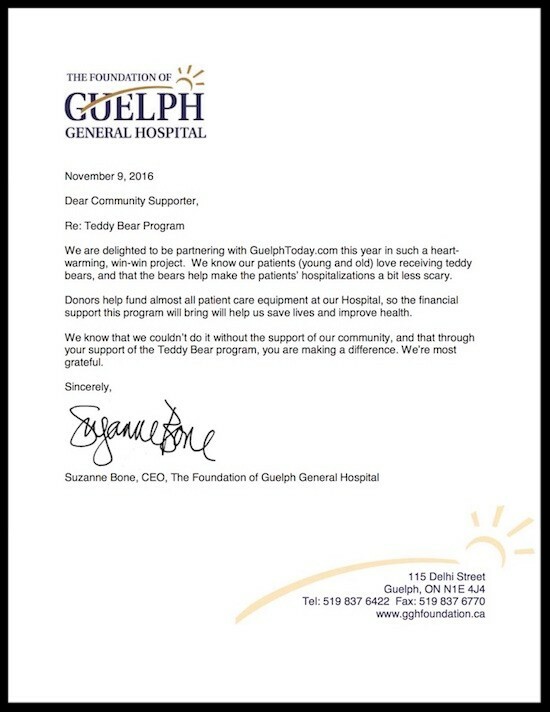 Guelph Today is partnering with The Foundation of the Guelph General Hospital to continue the “Teddy Bear Caper”. Their goal is to sell 100 Teddy Bears in our community for $100, with every dollar collected being donated back to the Foundation for them to continue the good work they do. If they sell all of the bears they’ll present them with a cheque for $10,000! Acts of kindness such as these go a long way to comfort those misfortunate children battling illness over the Holidays. There is something soothing and comforting about a teddy bear to a child! 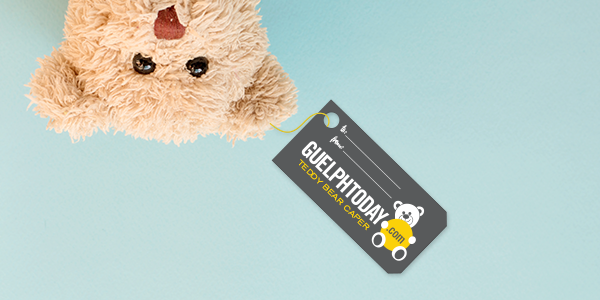 To sponsor the Teddy Bear Caper, email Liz@guelphtoday.com and let them know how many bears you would like to sponsor!